We moan endlessly about the great European cars we don’t get in America, but Jalopnik readers know ten vehicles we get in the Land of the Free that Europe is sorely missing. To be fair, when we say that America can’t get a great European car (let’s just use the stunning Citroën C6 as an example), we mean that we can’t get it at all. There is a ban on importing any foreign vehicle that was built within the last 25 years unless you agree to basically not drive it. Europe does not have that 25 year ban. They do not have a 15 year ban or a five year ban. They can import whatever car they want, straight from an American showroom floor, as Czech reader and imported American land yacht owner Bob_Ash explains. If I had the cash (basically the MSRP + 10% custom duty + 20% VAT + something like $5k for importer mark-up), I could walk to the gray importer dealership tomorrow morning and leave in a Mustang of any kind (V6 to Shelby), Challenger, Charger, Durango, Ram, Suburban, Escalade... anything American that has any chance of finding a buyer here. And anything that's not popular here and thus isn't available "in stock" can be ordered and imported, at similar price conditions (or cheaper, if you can do it yourself, which in fact isn't that hard). Reader duurtlang from The Netherlands also backed this up, pointing out that while it’s not like any European can walk onto a dealer lot and buy a USDM car, Europeans don’t always buy off the lot anyway. They often order their cars and wait for them to be built and delivered. So when we say that they don’t get these cars over in the land of wine and parliamentary systems, we mean these cars are not officially brought over there and buying them is not so easy a task. At least American gas is cheap. Want to get your hands on one of the toughest road/racing cars money can buy? Come to America and build one yourself in Local Motors’ micro factory. Here in the US, we’re spoiled with fat, overpowered full-size sedans, so we rarely give much thought to the front-biased Taurus SHO. Only when you go to Europe and find yourself deprived of middle-class muscle sedans do you really start to miss heavyweights like this. When I was on student exchange in southwest Germany, my classmates could spot the difference between a MAN, an Iveco, a Mercedes-Benz, and a Volvo truck from a couple hundred yards. I can hardly tell any of Europe’s big trucks apart, and a land-train of chrome and power would certainly spruce up the EU’s major throughways. Europe isn’t known for its wide, open deserts, fit for a high-speed prerunner-style pickup. That’s probably why Chrysler Co. doesn’t bring the thoroughly badass Ram Runner over there. Suggested By: shpuker, Photo Credit: TORC/Pat Schutte/Chrysler Co.
Any Johann or Heidi can go to their nearest Chevrolet dealer and order up a Corvette of any flavor. If they want a Camaro, however, the only factory-spec option is a simple V8 version. If they want a full-fat ZL1, they’ll have to go grey-market. Oh, and their base V8 costs as much to buy as a ZL1 costs here in the US. Some would say that the best roads of Europe aren’t the sweeping mountain, smooth passes of the Alps, but rather the tight, broken B-roads through dense forests. The GT500 is so ludicrously overpowered for these roads it’s hilarious. The GT500 will storm any Autobahn, but it will also keep you laughing as it bounces, jumps, and skips across the narrower roads, too. Every European needs one. It might not be an American car per se, but it is built just for the American market. All you Euro-trash are stuck with flappy paddles. Europe has many importers of SRT8 Challengers and Chargers, and it’s not uncommon to see one or two a month in the Continent’s bigger cities. However, even the most professional-looking importers aren’t perfect, as described by A&T. 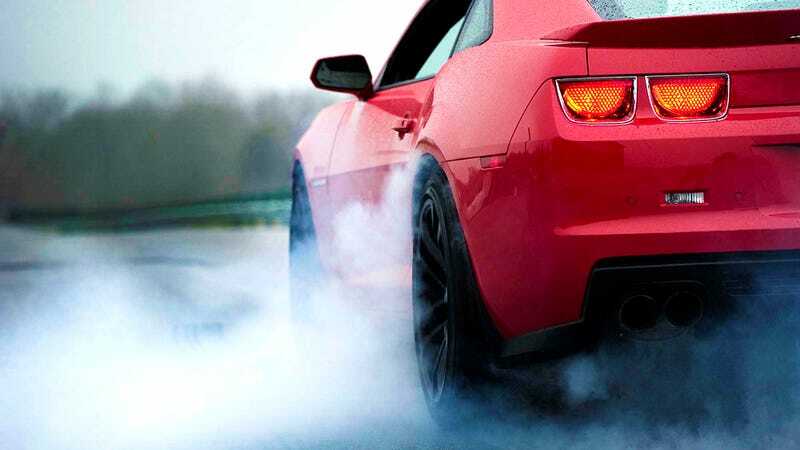 A&T's expertise in the export of North American cars, their homologation, shipping and logistics will make your purchase experience efficient and enjoyable. So if Claudia wants to buy a massively overpowered retro sedan or coupe, she has a decent amount of work ahead of her, and a hefty markup to expect as well. Suggested By: ZekeStone, Photo Credit: Chrysler Co.
We would laugh so hard if this picture was taken in Bulgaria. And we would not be surprised if it was. Europeans secretly love brash, capable American pickups, and none are better than the race-ready Raptor. We used to praise Europe for building the most unrestricted, unhinged sports cars in the world. Now, however, their TVRs are all out of business. It is up to America to build the world’s generally irresponsible, manic cars like the SRT Viper. Suggested By: Stunna, Photo Credit: Chrysler Co.